Children with chronic health conditions need full time school nurses. Ask your physician to write a letter to the school principal documenting your child's condition, medication guidelines, and other safety precautions and health management requirements. Request a meeting to discuss your child and the need to develop an Individualized Health Plan that inclues the guidelines and risk reduction steps necessary for your child's safety at school. Many state education and health departments have sample IHP forms. Be prepared. Provide school staff with resources especially written for school personnel from organizations such as the Lung Association or the Asthma and Allergy Foundation. Share examples of national guidelines and standards of care. Contact the National Association of School Nurses (NASN). The National School Boards Association is also a resource for model policies and guidelines. Be sure to keep a written log of all your communication with the school. Reach out to local chapters of the Allergy and Asthma Network/Mothers of Asthmatics, the American Lung Association, and the Asthma and Allergy Foundation of America. They can help build coalitions at the state and local level to work for change. Organizations of parents for children with other health conditions can also be a source of good ideas and allies who share your goals for promoting your child's health and education. It's 11:30 a.m. Do You Know Where Your School Nurse Is? A 1997 survey by the Massachusetts School Nurse Organization (MSNO) found asthma to be the number one chronic health condition in the state's schools. And, nationally, the number of students with asthma is on the rise. A public health nurse in a report to a suburban school board observed that the number of kids with asthma has doubled in the past few years while the school populations has gone up only 15%. Although the need for a full-time professional school nurse has never been greater, many schools across the country have no nurse. The MSNO survey revealed that there are no nurses in 15% of public schools and 38% of private schools in Massachusetts. In other districts, as many as five or more widely separated schools share a single nurse. Because the nurse is busy traveling between schools, students routinely depend upon secretaries, principals, teachers, playground monitors and parent volunteers to administer medications, assess illnesses and injuries and provide first aid. Many children with asthma require scheduled medications for the prevention or treatment of symptoms. Others students require medication on a less frequent or less predictable basis. Any student with asthma may have a severe asthma attack and need immediate assessment and emergency care. "Schools (without school nurses) are totally unprepared for kids with asthma," observes Elizabeth Sties, a registered nurse and the mother of two children with asthma. "They don't know about medications. They don't know about environmental controls. Worst of all, the teachers are put in the position of making medical judgments with no preparation." Thus, many parents face the daily worry of sending children to daycare or school knowing the school is not prepared to manage his or her health. Or parents may decide to keep their child home, often resulting in lost work time and even risking the loss of their job. In many cases, schools and daycare centers may refuse to administer medication, causing families enormous pain and frustration, and adding to the emotional stress and economic strain of caring for their children. Some parents step in to provide the care that the school is not equipped offer. A parent in Louisiana reports, "I had to come to school everyday to give my son his medicine...The medicine was in a file drawer in the secretary's desk. Kids would go into the drawer for their own medicine. One day I walked in to find a teacher very flustered because pills had spilled all over the floor. She picked them up and commented, 'I hope I got the right pills into the right bottles.' I finally decided I had to remove my child from that school." One mother in another school system, upon registering her child for school, learned that a nurse would be at school only for half a day each week. When the mother asked how her child with asthma would get her medication, she was told, "We will call you." The mother explained that she would be teaching more than 45 minutes away. She was then told that the school would call an ambulance if the child needed her inhaler. She writes, "Now that (my daughter) is entering elementary school, we are in an impossible situation." The lack of health management at school can have tragic consequences. My growing file of newspaper clippings tells the stories of children who have died as a result of severe asthma episodes occurring in schools unprepared to handle their needs. Recently, in Illinois, a parochial school employee called the mother of a seven-year-old girl to tell her that her daughter was very upset and that there was no one at the school to administer her medication. By the time the mother arrived at the school, the child could not take a breath to use her inhaler. She lost consciousness and died. "Without full time school nurses, communication can't possibly be good enough for child to be safe," says Marcia Buckminster, President of the Massachusetts School Nurse Organization. "Today, nurses are case managers. One of the most important things we do is administer and monitor medications. We provide necessary feedback on the effectiveness of medication...When a nurse is running out the door, she doesn't have time for assessment and monitoring. There is not enough time to know students, to talk to parents, and to know the particular school." One of the frequently cited obstacles to school nursing services is limited financial resources. An article in School Board News (May 24, 1994) from the National School Boards Association (NSBA) poses the question: "Can school boards, beset by tight budgets and limited access to medical personnel, satisfy these legal responsibilities in a safe manner?" The NSBA points out that many school boards are coping by careful planning and a sound allocation of resources, by adopting clear and well-researched policies. Another obstacle is the common misunderstanding that schools are not required to provide nursing services to children. In fact, in strict liability terms, schools must take steps to protect children from harm while in school care. While individual state medical practice acts define who can legally make medical judgments or perform certain health-related tasks, schools are also obligated under federal civil rights law (Section 504 of the Rehabilitation Act of 1973) to take special precautions and provide services so that students with health care needs can attend school safely and successfully. Court decisions and rulings by the Department of Education Office for Civil Rights have clarified that schools must provide students with reliable access to medication, with "related aids and services" and with teachers who take the precautions necessary to reduce risk and disruption to the student's daily routines and to ensure safe participation in gym class, recess, off-site events, and field trips. Related services include supportive procedures or therapies that a child needs in order to attend school, for example, medication administration, nebulizer treatments, peak flow monitoring, or ingredient substitutions in school menus. Some state laws allow delegation to a non-licensed layperson but only if there are appropriate procedures, training and professional supervision to ensure "safe" delegation. For a parent, initiating change in a school system can seem a daunting task. Experienced child advocates emphasize, "First families should believe absolutely that their children have a right to attend school and to do so in a safe and healthy environment." They advise documenting your child's needs and finding allies to work with you, knowing the laws that protect your child and working to form a partnership with school personnel. Pam Gaffney, from Westwood, Ma, worked for several years to influence her school officials and school board members to increase nursing coverage and to adopt the practice of writing Individualized Health Plans (IHPs) that detailed the guidelines for care and risk reduction for a child with special health needs. Her persistence paid off. 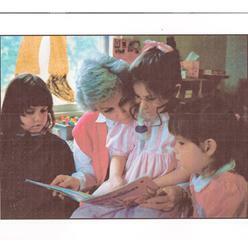 The school system began using IHPS for every child with special health needs. Pam writes: "As a result of developing IHPs teachers enjoy the partnership with school nurses that enables them to better anticipate the needs of children with health needs. Together, principals, teachers, specialists, cafeteria workers and administrative personnel are trained in a variety of preventive and emergency procures to ensure that a knowledgeable person will always be there for a child in a crisis..."
In one school district, a secretary with no medical training was responsible for first aid and medications for sixty-six students with medical problems that included severe asthma, diabetes, seizure disorders, bee sting allergies, and multiple handicaps. Parents in the parent-teacher organization combined forces to conduct a survey that compared their health services with those of 30 surrounding towns. The results persuaded school officials to improve school health practices and to hire an additional nurse. Marcia Buckminster, the supervisor of school nurses in Framingham, Massachusetts, attributes her ability to provide full-time nursing coverage to a district-wide comprehensive needs assessment that fully documents students' conditions that range from asthma and cancer to organ transplants and life-threatening allergies. If your school is not providing adequate health management for your child, you cannot ignore it. Partner with others in your school community to improve school health services so your child can attend school safely and successfully.